Most people assume that pumpkins are a vegetable, but they are actually considered a fruit! Pumpkins originated in Central America over 7,500 years ago. Archaeologists discovered the oldest pumpkin seeds in Mexico. Early settlers ate pumpkin as a staple. Colonists filled a hollowed out shell with milk, honey and spices, then baked it in hot ashes. This is considered the origin of the pumpkin pie! Americans love their pumpkins, producing 1.5 billion pounds each year! Illinois, Indiana, Ohio, Pennsylvania, and California are the top pumpkin-producing states. Nestle, under the brand Libby, produces 85% of the processed pumpkin at their plant in Illinois. Today, It’s more about the pumpkin feeling than the pumpkin flavor or nutrition. Coffee shops and stores bring tremendous hype to the arrival of pumpkin spice lattes, pumpkin donuts, pies and cookies! Many of the pumpkins you will buy this Fall come from local family farms found at the Fairwood Farmers Market and other Farmers Markets in your area. Nothing signals the beginning of Autumn like the arrival of pumpkins! 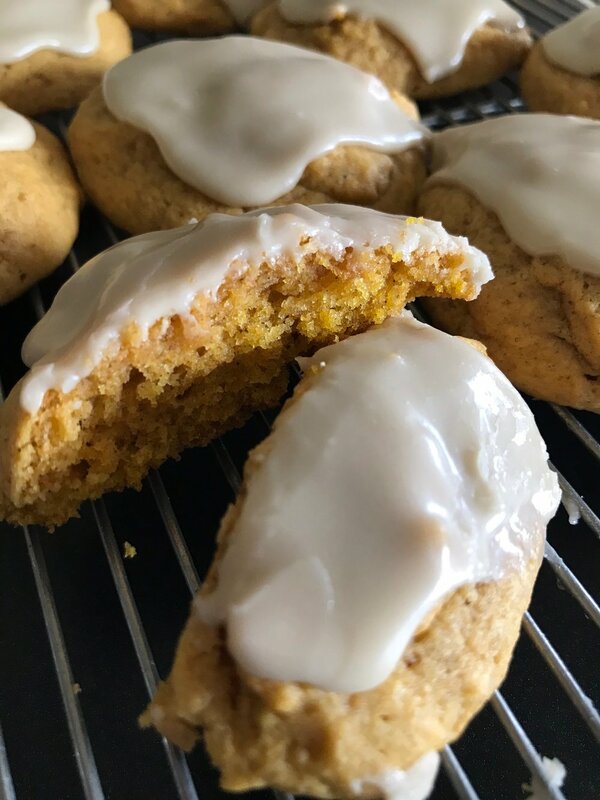 We will join the pumpkin hype beginning September 4 by offering our beloved Iced Pumpkin cookies!